Lots, in general there are things like my upbringing giving me a good start in life and my health not being worse than it is. As long as I can remember my dad has had a boat (my first channel crossing was at 18 months old) but I never actually did a huge amount of sailing, it was just something that we sometimes did in the summer. One year in school I happened to accidentally mention the fact that my dad had a yacht to one of the ‘new boys’ when he said that he sailed. 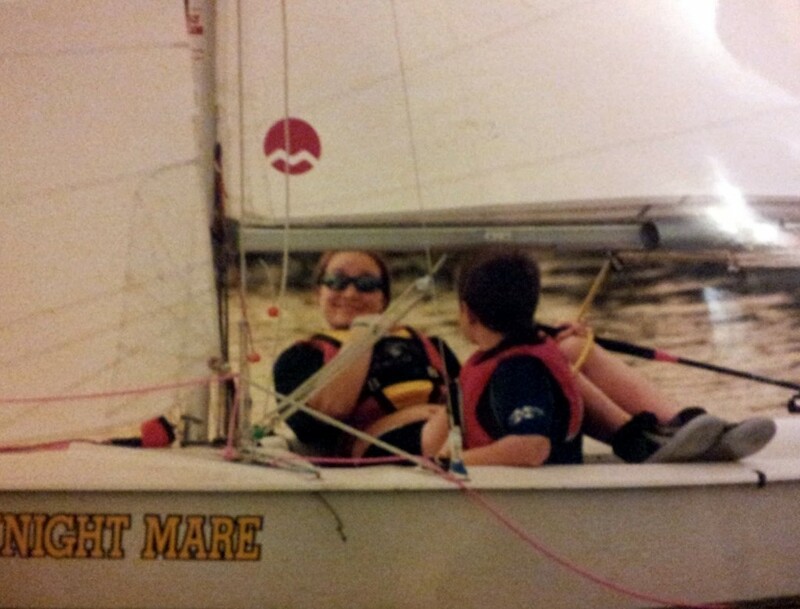 From then on he insisted that I come and try sailing with him. Sensibly I refused the offer and carried on in my little bubble thinking no more of it. Come parents day he decided to take it upon himself to go behind my back and tell my father about the sailing club. Well that was it! I WAS going sailing, I at least had to try it! So at my dad’s insistence I was taken to our local sailing club the next weekend which also happened to be the clubs open day (a happy coincidence) and I was taken out sailing with the commodores daughter (Paula) and lo and behold I was quite good at it. My life flipped upside down at that moment in time. It was arranged that I would come back to the club the next weekend to try out racing with Paula. With that one decision I practically gave up my weekends for the rest of my life. Every weekend for the next 9 months I would be at the club racing against other in the club championships and racking up a number of trophies. The next year I changed helms and carried on the cycle, travelling further afield for events. Even competing in the national championships in Torbay for the first time. After the nationals it was decided that it was time for me to take another leap in my sailing career and even though I as still only 11 years old I was presented with one of the clubs boats and a very eager 7 yr old crew!! That was the beginning of the end! A year later I owned my own oat and had started sailing the gruelling circuit of training events and competitions taking my from Liverpool to Weymouth and back again. 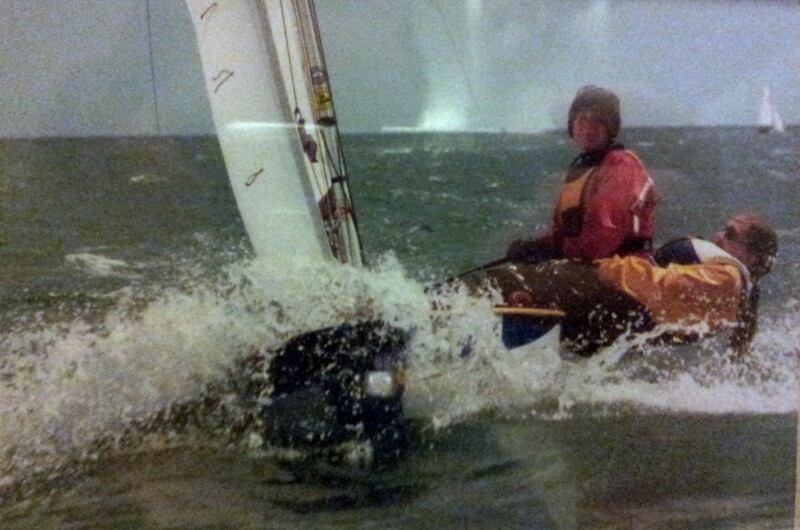 I was calculated that in some years I spent 2 out of every 7 days sailing, including a full year at school! 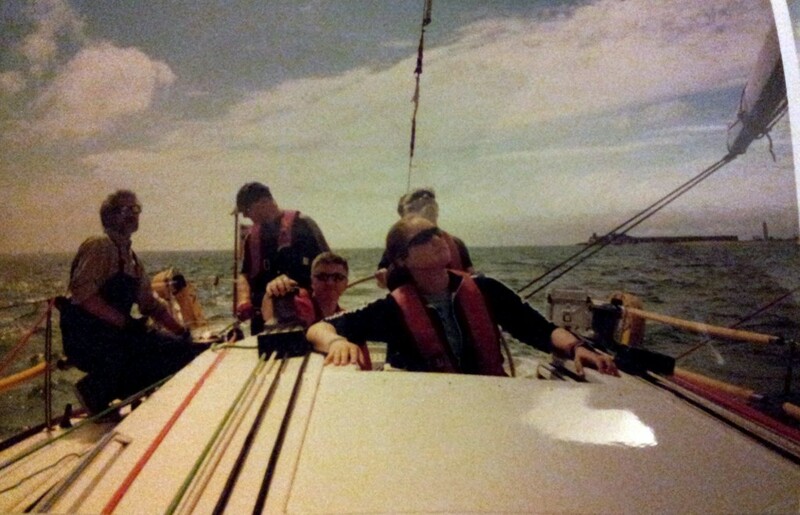 As I ger older and Nikki took up sailing too the events that we travelled to grew in ‘level’ and location. Between us we have competed in Belgium, Germany, Hungary and the Czech Republic. I cannot imagine how my life would be with out the influence of sailing! There is only one thing in my life that which hasn’t stemmed from that chance comment nearly 15 years ago, and that is Ballroom Dancing, which if I’m honest wouldn’t have happened if I hadn’t me one of my house mates friends who competed for the Uni, and I only knew that house mate through sailing! Everything from my choice of degree and even University have stemmed from my love of sailing and all things water based! What are you thankful for these days? Love the name of your blog. Hi, I'm Connie at http://hotflashncraftn.blogspot.com/, your new GF friend. I would love it if you stop by and be mine, too. This is soooo awesome!!! I've never been sailing before!! It looks like so much fun! Sailing is on my bucket list for sure! My brother in law knows how so I've been begging him to take us! Loved your pictures! very cool! love this post! i'm a fellow "it's a date"er 😉 and your newest follower! Thank you lovelies, this is a post I have been thinking about for a while so this gave me the kick up the but to do it.